Charlotte is originally from France and has called New York City home since 2014. Her yoga mat is where she finds energy and mind space no matter where life takes her. Charlotte believes that the practice of yoga (asana + focused breathing + meditation) is a platform for individual and collective growth, and she wants to help students make their time on and off the mat more engaging and purposeful. 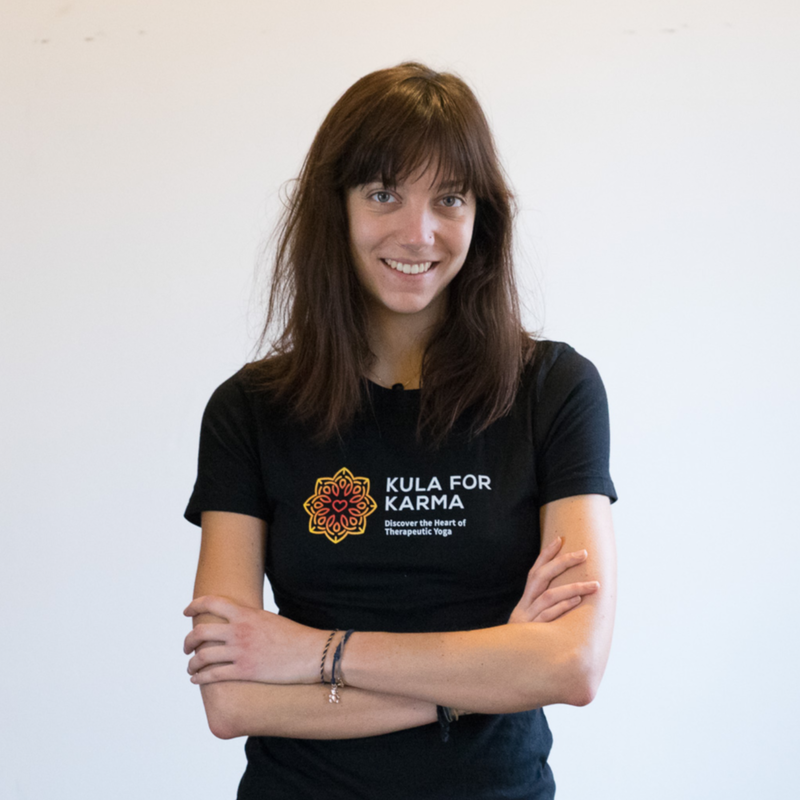 Since March 2018, Charlotte has taught Kula for Karma classes at Covenant House NY, bringing yoga into the lives of runaway, homeless, and exploited teenagers ages 16 through 24. Charlotte is honored to be a 300‐hour certified Jivamukti Yoga teacher + KRI Level 1 certified Kundalini Yoga & Meditation teacher. She also completed two trauma‐informed yoga teacher trainings, with Hala Khouri from Off the Mat, Into the World and with Anneke Lucas from Liberation Prison Yoga. She is currently pursuing a 150‐hour Holistic Health Counselor certification in an Ayurveda nutrition program under Vaidya Naina Marballi and strives to serve her students through a holistic approach, to decrease mental, emotional, and physical stress and improve their quality of life. FACT: Charlotte, together with her partner, is the co‐founder of Sharanam Yoga Project, a global yoga service initiative aiming to give access to the healing benefits of yoga and meditation to at‐risk populalions, impoverished communities, & trauma survivors.